This is popular sandwich from Louisiana. It is usually a large round crispy bread roll filled with layers of marinated olive salad, capicola, mortadella, salami, pepperoni, ham, Swiss cheese and provolone. For our version, we bought a mix of marinated vegetables and added olives which were pulsed in the food processor to create a chunky bruschetta texture. This mix was layered with porchetta, capicola, emmentale cheese and ricotta cheese mixed with fresh cilantro. You can replace any layer with a meat or cheese of your choice. 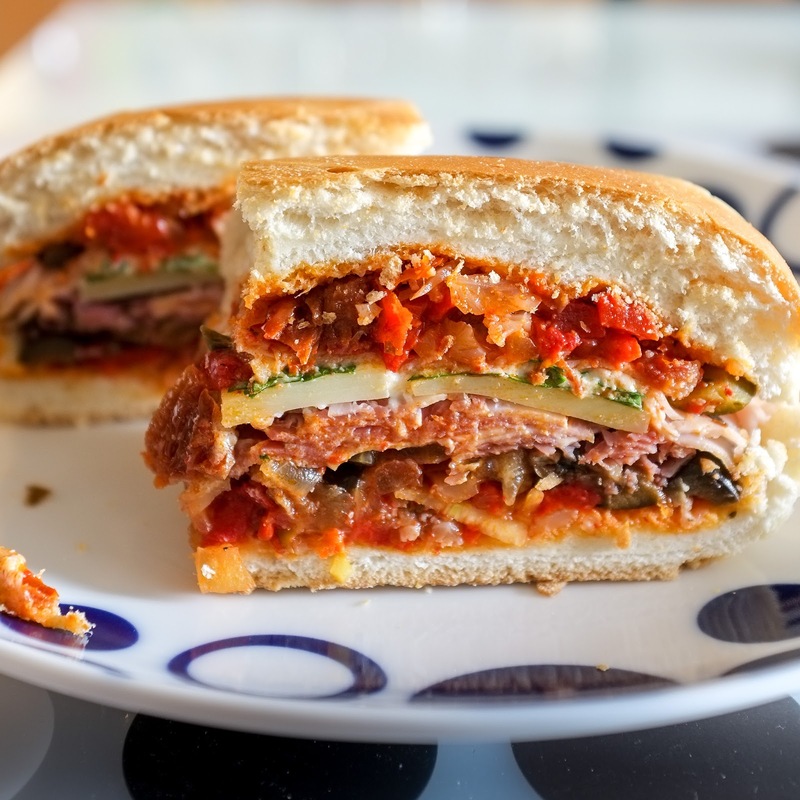 The sandwich was heated up for about 5 minutes in the oven and served warm to bring out the flavours even more.